Yes it’s pub crawl time again. If you’re still hungover from our last jaunt on the Las Vegas Strip then slam some coffee and tell the dog you won’t be home for dinner. 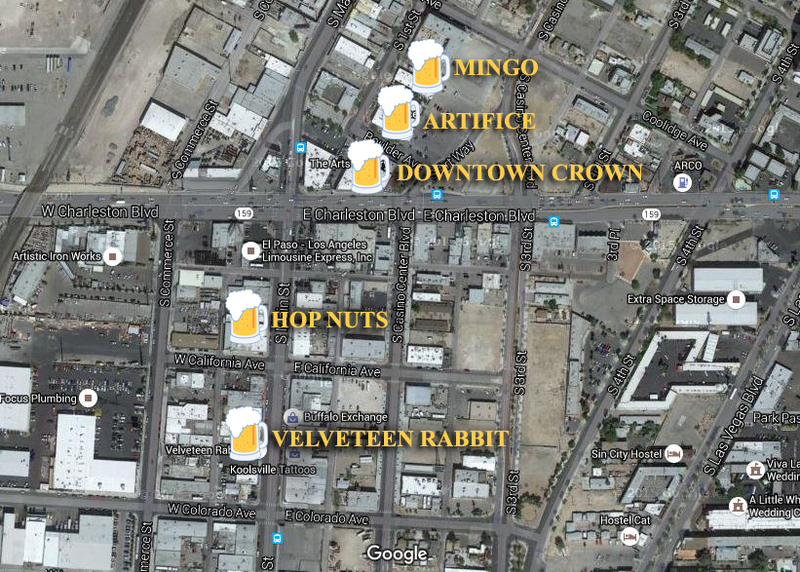 We’re crawling our way through the Las Vegas Arts District, where drinking is more than a pastime, it’s a creative experience. Beer, cocktails and amazing food await so lets waste no more time. Actually we’ll waste just a bit more time to say drink responsibly, drink plenty of water and get a designated driver or a Lyft. Now, on to the drinkies. Rest up. You’ve got drinking to do. Photo courtesy of Mingo. Restauranteur Mingo Collaso created Mingo because, well, who hasn’t wanted a bar with their name on it? And this is a fine one to bear the moniker. In addition to great cocktails, there’s a full food menu with some incredible options. We’re starting here so you can fill your belly before drinking the night away. We’re big fans of the mac ’n’ cheese. Carbs and cheese are always good ways to ready the stomach for binging. And everything on the menu has a hashtag so you can tweet your experience. You can also inform your followers that your tweets will be getting progressively drunker throughout the night. Oh, and be sure to charge your phones using the USB ports in the bar. It’s tough to miss before you’ve been there but easy to miss as you’re leaving. Photo courtesy of Artifice. 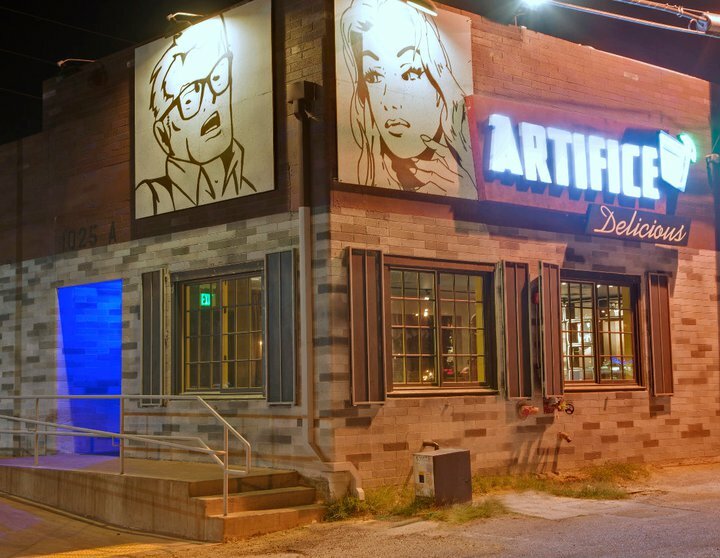 Just down the parking lot from Mingo we find Artifice, one of our favorite local haunts. We can’t say enough good things about this bar so we’re going to rattle off a list like a fifth grader doing a book report: Awesome layout, amazing events like burlesque and goth nights, cool bartenders who make great drinks, fantastic prices, art on the walls, big curtain thingies, plenty of seating, superb clientele… *breathes* Did we get everything? Probably not. This is a bar where you can chill and digest your dinner for a bit before we keep going with the crawl. And if you want to let your friends go on while you just hang out here, we understand. Beer. That is all. Photo courtesy of Downtown Crown. Once your friends pressure you to keep going, we’ll pop across the street to Downtown Crown. This Brit pub is the latest addition to the Crown & Anchor chain of Las Vegas pubs. A place for sports, including actual football (soccer) and rugby, as well as general bar shenanigans, Downtown Crown is a fine place to rev up for the rest of our crawl. It’s casual but has plenty of energy. And, if you didn’t get enough before, they have great bar food that will keep you drinking all night. 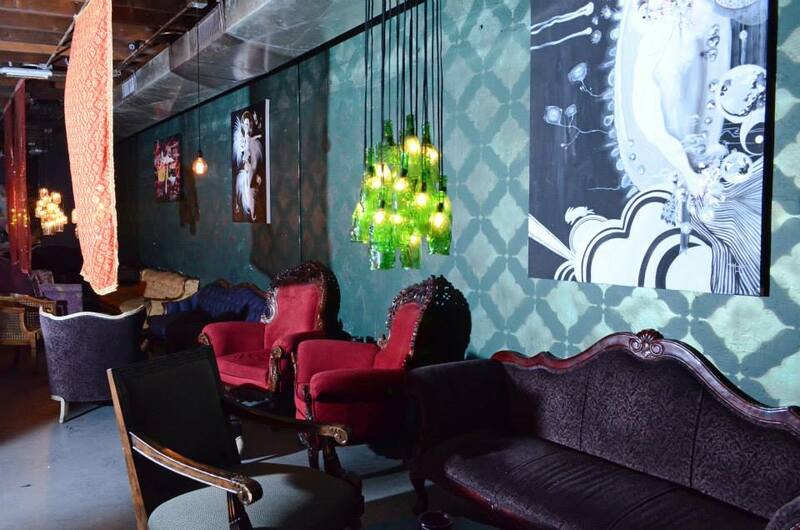 The pub is also located in the Arts Factory, so you can check out some brilliant local art before heading to the next stop. You could be performing on the other side of that door. Think about it. Photo courtesy of Hop Nuts. This is the longest walk of our crawl, but it’s still not that far. 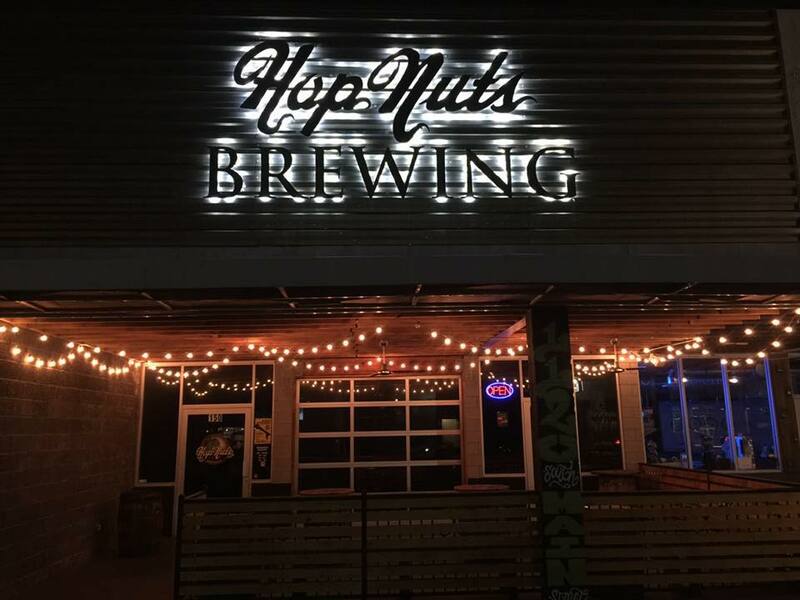 Popping down Charleston Boulevard to Main Street then stroll down a block we find the lovely Hop Nuts Brewing. Depending on the weather they might have the big garage door open giving the whole place a wonderful airy feeling. And if it’s a day that ends in Y and a time that exists, they’ll be pouring some of our favorite beer in town. If you’re into the brewing scene you can check out the equipment through the windows near the bar. 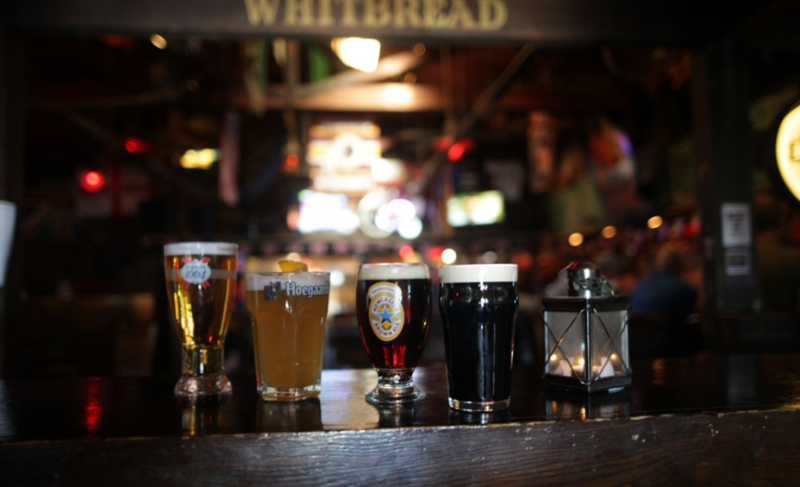 Or, if you just care about taste, you can have a pint or share a flight with your friends. If you happen to be there on a night with an open mic, feel free to put your name on the list. You’re probably not drunk enough yet to make a total fool of yourself, right? Like the setting of a murder mystery where no one really cares whodunit because they’re too busy enjoying cocktails. Photo courtesy of Velveteen Rabbit. Just down Main Street from Hop Nuts we land at our last stop of the night. This is where you’ll relax and reminisce about all the fond memories you have of this pub crawl. Velveteen Rabbit is one of those bars that defies labels. It’s part cocktail joint, part antique furniture storage and part Agatha Christie’s sitting room if she were a 21st century hipster. But forget all that. Make the place your own. Velveteen Rabbit is all about individuality and personality. Talk to the bartenders. Try something new. Remember why you wanted to check out the Arts District in Las Vegas instead of the Strip or Downtown. There’s a reason we saved this spot for last. It’s the spot that will make your night. A handy map in case you forgot to charge your phone like we told you all the way back at Mingo. 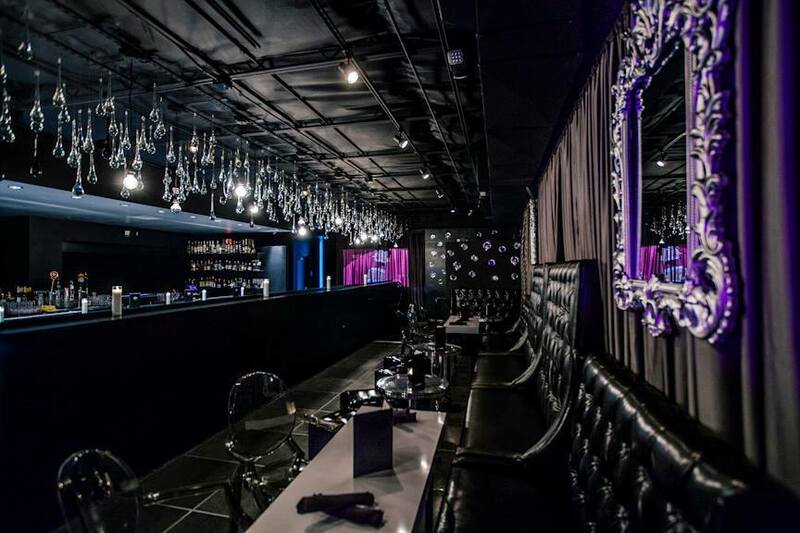 As always, you can find more Las Vegas bars on our bars page. Go design your own pub crawl.